Four screws, eight washers, and four clamps. Enough for the whole bike. 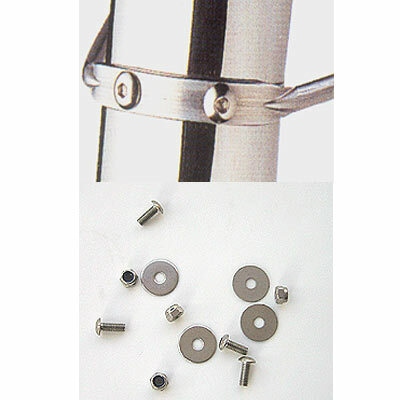 Chromed steel stay binder for 5mm dropout eyelets without threads. The hole in the bolt is the perfect size for Berthoud aluminum fender struts. 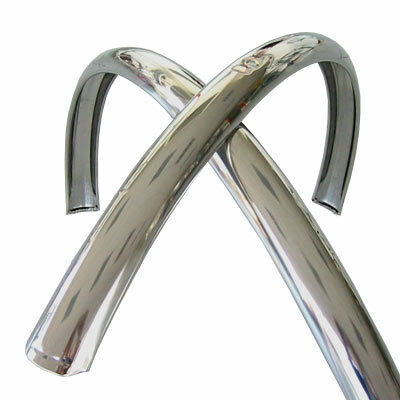 The ring in the center is counterbored. When you place the threaded section through a non-threaded eyelet and tighten the nut, it clamps the strut tightly. 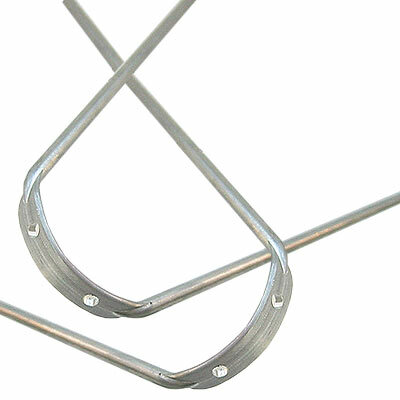 These are available in three lengths for the threaded section; 10.5mm, 13mm, and 15mm. 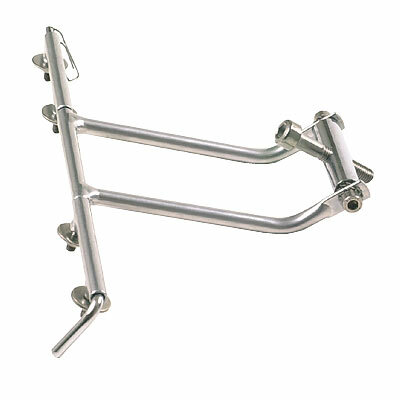 Pick the length that works for your bike and any rack that might be attached to the same eyelet. 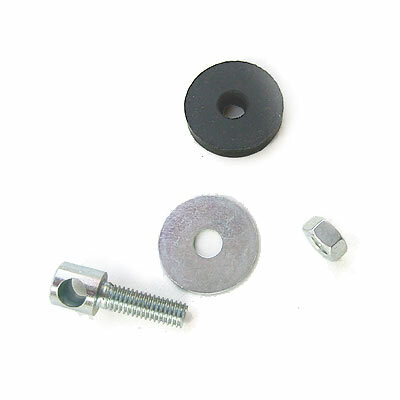 Four screws, four washers, and four nuts. Enough for the whole bike. The brake center bolt goes through the hole in the bolt you see. 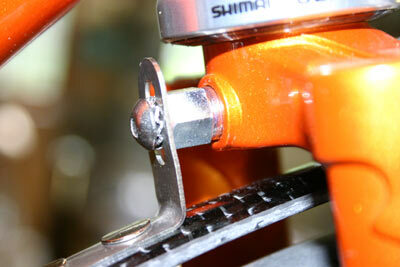 The threaded end extends down through the fender and is held in place by the nut. The rubber grommet goes between the fender and the fork crown. It won't rattle. Put a drop of blue Loctite on the threads. Pair of fenders without any hardware. Sorry, but I cannot sell just a front or just a rear. They are only sold as pairs. 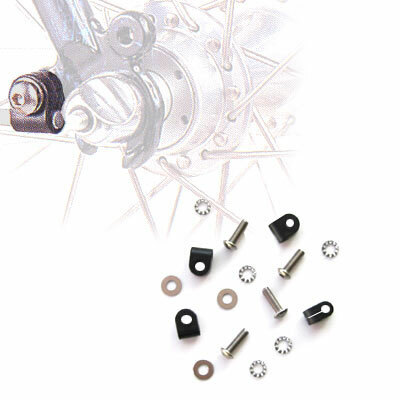 We have special nuts that replace the allen nuts which hold most modern caliper brakes on frames these days. 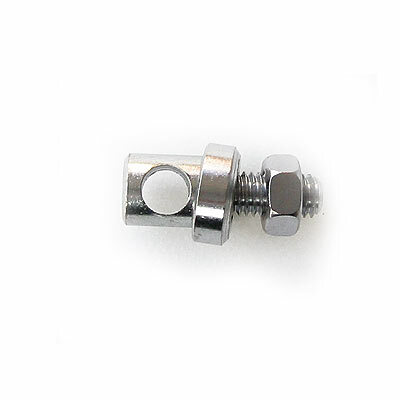 These nut are special in that they have a 10mm head and a 5mm thread into which you can screw a 5mm bolt, like the button head bolt you see below. 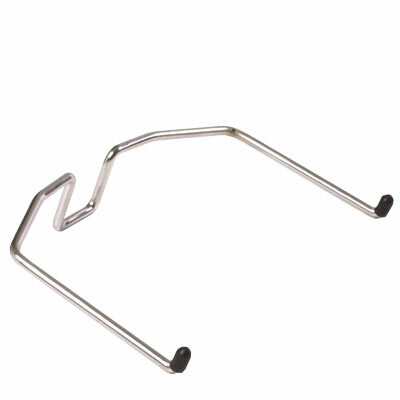 This makes it possible to mount fenders to the rear of your fork crown, where most fenders are designed to mount. I have these available in four different lengths. 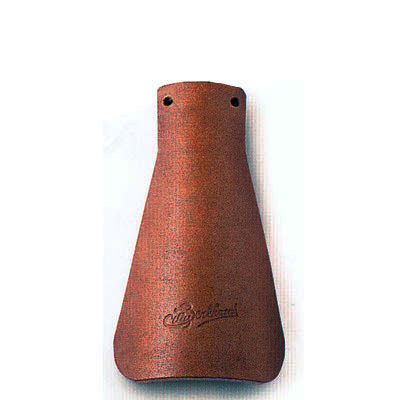 See the installation page for instructions on installing Berthoud fenders. 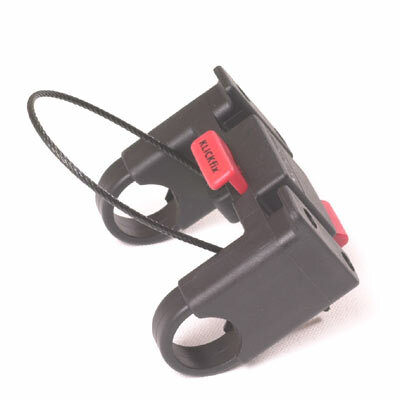 Klick Fix mount for GB 192 handlebar bag. Back to the main Berthoud page.